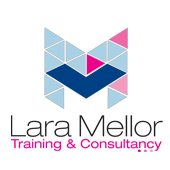 Lara Mellor Training and Consultancy is a business dedicated to Microsoft and IT Training in the North East for individuals or groups of all abilities. Training is normally carried out at the client’s site and can be totally tailored to the requirements of the customer but can also be run online where users are more remote. Products normally trained are Microsoft Word, Excel, Powerpoint, Access, Outlook, Project, Visio, Publisher, Power BI desktop and Office 365. However, training on other packages can also be arranged. Recently I have provided support to drivers using handheld devices for deliveries and a one to one session on open office. Sessions are often a day in length but shorter durations can be accommodated. Hello! I am Lara Mellor. 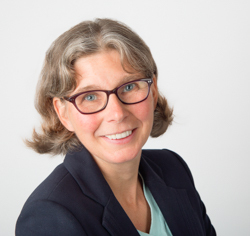 I am an experienced Microsoft Training Consultant and owner of Lara Mellor Training and Consultancy. The company was established in 2000. Originally based in Berkshire I moved to Northumberland in 2016. As a small independent training provider you will get a more personal service and a consistency of trainers you rarely get with the big corporations. Surely all the information that you would ever want to learn is out there on the internet by now? Well, that’s true. So what are the advantages of training with me? Our courses consist of modules, each of which lasts 2 hours. A days training would consist of 3 modules, chosen by you, to fit the specific needs of the delegates attending. This could even be a mix of products if required. i.e. two modules of Excel and one of PowerPoint. This gives a company real flexibility to match their training requirements. The old style introduction, intermediate and advanced levels approach often does not match the topics an individual requires. This causes delegates to be less engaged with the training and wastes time teaching skills not required at present. The modular approach gives the option of having a different mix of delegates on the different modules in the day. This means that delegates do not need to be out of the office for the whole day if that suits the business.